The Songes Glittering Body Oil is a recently released product in the Annick Goutal line that is perfect for these sticky summer days and nights. It is without doubt my favourite body oil and if you love the Annick Goutal perfume of the same name you will probably fall for this as well. The scent is of course divine with its mix of tropical flowers including tiare and ylang ylang and a hint of vanilla. The oil is also enriched with camellia oil and the natural emollient phytosqualan (derived from olive oil). There are gold glitter flakes in the bottle that appear to be quite prominent, however on skin the effect is fairly muted. It offers a glow and a glimmer of sparkle but it’s not too over the top. For me this is perfect. If you’re looking for a disco diva sparkly shine this will not give you the effect you desire. I love wearing oils in the summer as I’m just not always in the mood for perfume when it’s unbearably hot. Oils work well at this time of year. Not only do they have soothing properties but choose one with a great scent and you will also smell fabulous. The product is a limited edition and retails for 45€. There is also a limited edition Tahitian Perfumed Monoi Oil in the range for 39€. Hopefully these oils will sell like hot cakes and we’ll see them included as regular items in the collection. 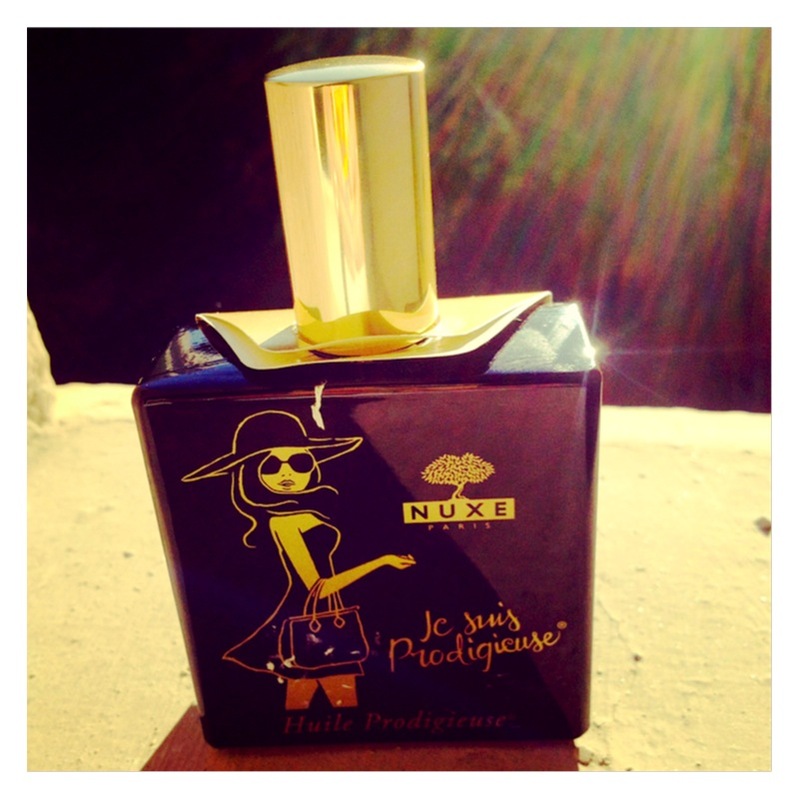 If you’re looking for a tropical smelling oil at a lower price point, I recommend Nuxe Huile Prodigieuse as a fragrant dry oil that conjures up the South of France in a bottle. It retails for around 20€ for a 100ml size at pharmacies in France. A bargain version on the tropical theme is Huile Sèche Monoï de Tahiti from Yves Rocher that you can currently pick up for half price from their website for 5,75€. It’s a bolder take on tropical flowers that is very fragrant, so can be too much at times. I suggest a light application. The Songes Glittering Body Oil is my luxury pick and always brings a sense of joy as soon as I uncap the bottle. It’s also a cheaper thrill than the perfume. Highly recommended.